The setting is America in the not too distant future. Disease and War have brought the country to its knees but in doing so has created new opportunities. 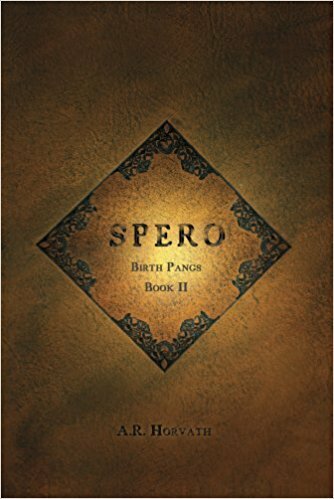 Beginning with the first glimpse of the nuclear flash, the individuals in Spero join the hordes of refugees as they try to regroup and rebuild. Tasha, a beloved character from book one of the Birth Pangs series, guides her wounded charge through the carnage to a place of safety and healing. But war is never far off, and efforts to fight off despair using human effort abound. These have been tried and found wanting. In Spero, something else is offered.